Cardiac arrest can be reversible if treatment (including hands-only cardiopulmonary resuscitation—or CPR) is started immediately. If you spot the signs of sudden cardiac arrest, call 911. While you wait for help, do this. Find the center of the person’s chest. Push hard and fast on that spot at a rate of 100 to 120 beats per minute—try pushing to the beat of the disco song "Stayin' Alive." 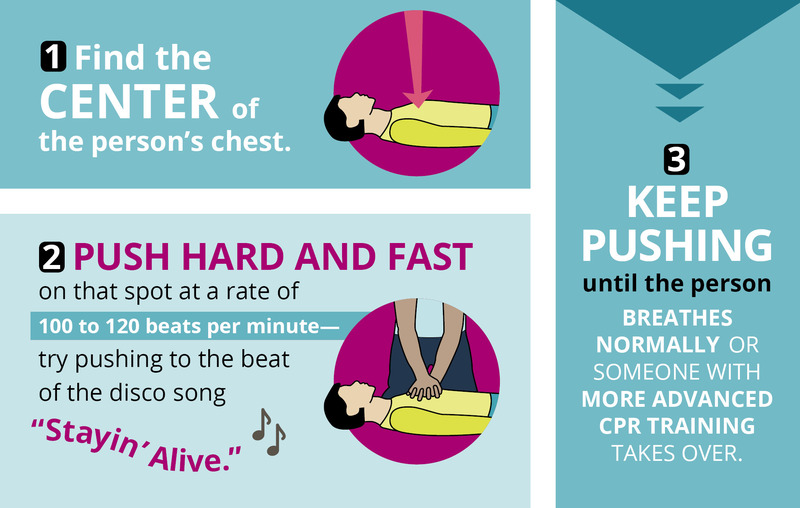 Keep pushing until the person breathes normally or someone with more advanced CPR training takes over.